ALWSCI 0.25mL Vial Inserts, Glass, Conical Base, 100 pcs/pk by ALWSCI at Dupen Labs. MPN: 2ML-N2004. Hurry! Limited time offer. Offer valid only while supplies last. These vial inserts are perfect for limited volume analysis and to reduce solvent waste. These inserts has a conical base. Sold in 100 pcs/pk. 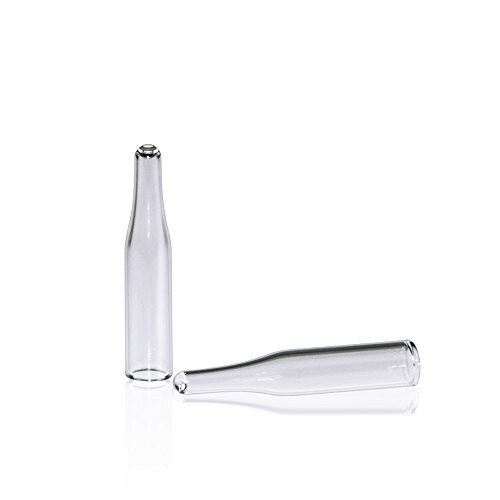 These vial inserts are perfect for limited volume analysis and to reduce solvent waste. These inserts has a conical base. Sold in 100 pcs/pk. Suggested Use: 32 x 12 mm, large opening ND9 screw top vials, ND11 snap top vials, and ND11 crimp top vials.